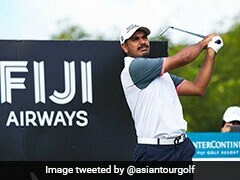 Gaganjeet Bhullar of India on Monday won the USD 300,000 BANK BRI-JCB Indonesia Open for the second time in his career after closing with a four-under-par 68. 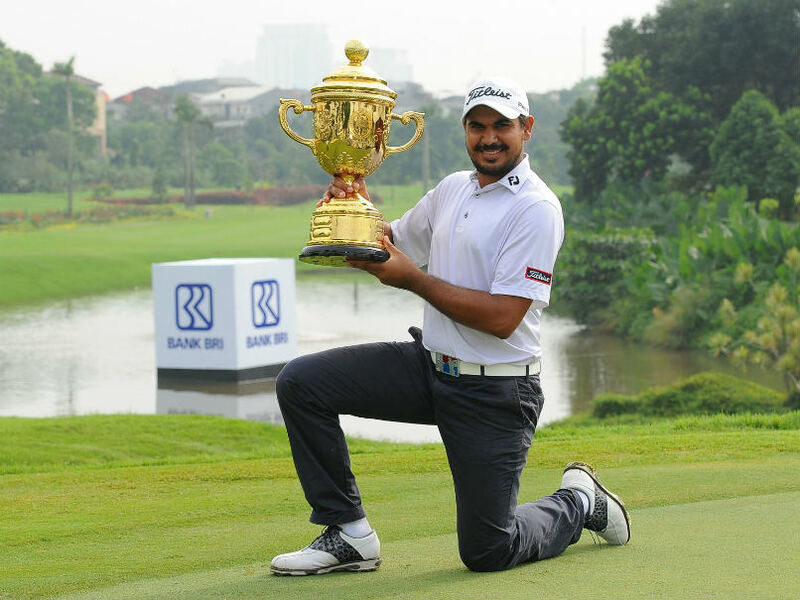 Bhullar, who also won the event in 2013, sealed his seventh Asian Tour victory and a second title this season with a 16-under-par 272 total at the Pondok Indah Golf Course. He returned to finish his remaining three holes on Monday morning as play was abandoned due to bad weather on Sunday. Jeev Milkha Singh of India, a two-time Asian Tour number one, threatened briefly before settling for tied 2nd place, his best result since 2012, after making bogey on the 17th hole to finish on 72. Thailand's Danthai Boonma (67), Panuphol Pittayarat (68) and Tour rookie Johannes Veerman (69) of the United States took a share of second alongside Singh on 275s. The 28-year-old made five birdies in seven holes on Sunday before returning to par his last three holes and clinch his second victory in two months. With his win at the BANK BRI-JCB Indonesia Open, Bhullar is now the fifth player after Thaworn Wiratchant of Thailand, Frank Nobilo of New Zealand, Frankie Minoza of the Philippines and Lu Hsi-chuen of Chinese Taipei to win the event twice. "It is never easy in a Monday finish especially when you only have a two-shot lead. I slept at 7pm last night and woke up at 2am because there was so much adrenaline rush. I just couldn't focus on anything." "I was not focussed on sleeping. I just could not divert my mind anywhere else apart from the last few holes. At the end of the day, I'm proud of myself and I'm glad I pulled it off," said Bhullar. "I was full of confidence from tee number one. I told myself that I will play aggressive golf and gave myself a lot of birdie chances. I putted really well and made single putts in the first seven holes," he added. Bhullar admitted that it was a huge test of patience as the weather suspensions made life difficult for the players. "The week was difficult, it was not easy at all. It was a test of patience but my past experience of winning here before helped. I've won before in stop and go week before. The experience really counted this week," he said. Jeev, who has won 14 titles worldwide but not since 2012, said it was difficult to chase the dominant Bhullar. "I played well but Gaganjeet started really well yesterday. I tried to push him but I finished second and I'll take that result as it is my best finish of the year," said the 44-year-old Jeev. "I think I handled myself really well being in the last group for the first time since 2012! I could have done better but I feel this will give me a lot of confidence heading into the next few weeks. I'm working on a few things which I need to trust more under pressure." The young Asian Tour stars have enjoyed huge success in the 2016 season but Jeev is determined to return to his best form. 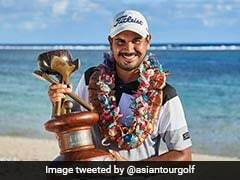 "It is great to see the depth of the Asian Tour. It is good to see these young kids hungry and they want to birdie every hole. That's the way it should be. 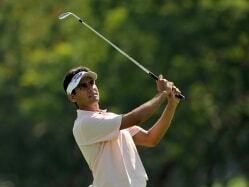 Gaganjeet is 28 years old and I think sky's the limit for him," said Jeev. "It is good to see these young kids doing well. Obviously I want to compete with them. In fact, they push me to do better. They hit good and long drives and I want to keep up with them. Don't forget age is just a number," he smiled.